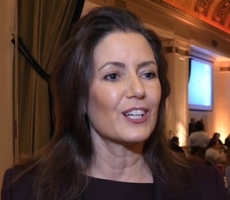 Blue Shield of California and the Yerba Buena Center for the Arts officially opened the Blue Shield of California Theater with performances and presentations about the strong links between the arts and health. 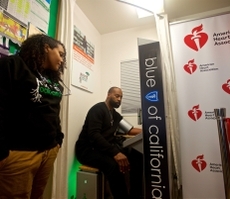 On March 7, Blue Shield announced that it has entered into a multi-year partnership with YBCA to raise public awareness around the relationship between active engagement with the arts and improved health and well-being for individuals and communities. 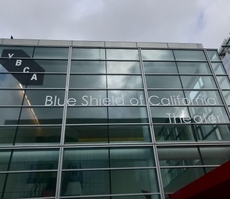 The Blue Shield of California Theater at YBCA annually presents over 300 cultural events on-site, from exhibitions to performances, film screenings, and large-scale community engagements. The 757-seat theater has two-tier seating, dual-level lobbies, a spacious stage, and a generous technical inventory. It also regularly serves as a host venue for events by blue-chip brands such as Apple, Bloomberg, Google, HP, Oracle, TED, and Vanity Fair magazine. Located at the corner of Third Street and Howard Street, the Blue Shield of California Theater at YBCA is situated at one of the most densely visited intersections in downtown San Francisco. Its main entrance and facade face the Moscone Convention Center, which increased its functional space by 42 percent with its recent expansion.